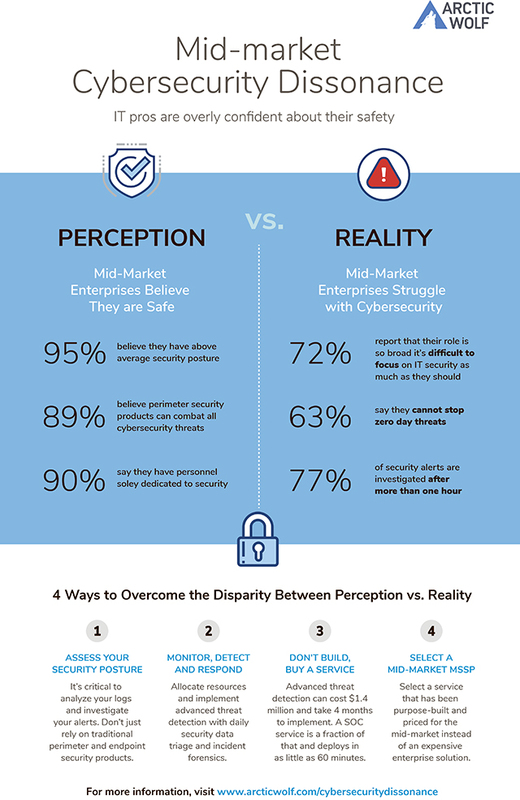 Mid-market enterprises have very high confidence in their cyber security defenses, but in reality they struggle to defend against malicious activity which has become more sophisticated, more targeted and more severe. Security operations-as-a-service company Arctic Wolf Networks along with research firm Vanson Bourne, surveyed IT decision makers at 200 companies with between 500 and 3,000 employees and uncovered a disparity between what IT professionals believe versus the reality of their security posture. It finds a large majority (95 percent) of IT professionals believe their cybersecurity posture is above average to great, yet 100 percent of these same respondents report that their organization's cybersecurity could improve in one or more areas. Among other findings are that 72 percent of respondents report their role covers so many different areas that it is difficult to focus on IT security as much as they should. Half of respondents say that security is so complex, they don't know where to start to improve their organization’s security posture, and 51 percent say they'd like their organization to assign more budget and/or resources to IT security. "Most mid-market enterprises believe they are safe because they have the traditional perimeter defenses in place," says Brian NeSmith, CEO of Arctic Wolf Networks. "This falls far short of what's needed for rigorous security in today's complex threat environment. 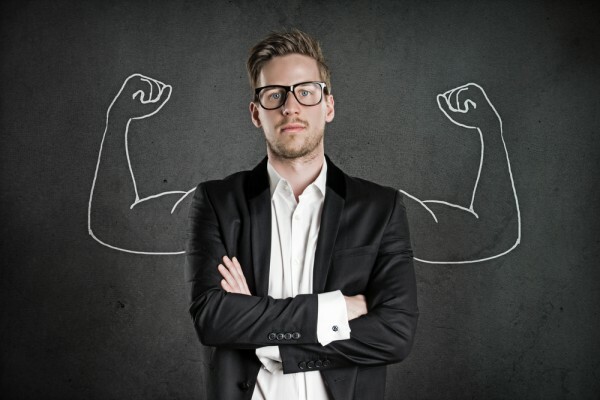 The challenge smaller enterprises face is that they have all the same security issues as large enterprises with only a fraction of the budget and less specialized personnel." There will be a breakfast session on the findings at next month's RSA conference. You can find out more on the company's website and there's a summary of the findings in infographic form below.